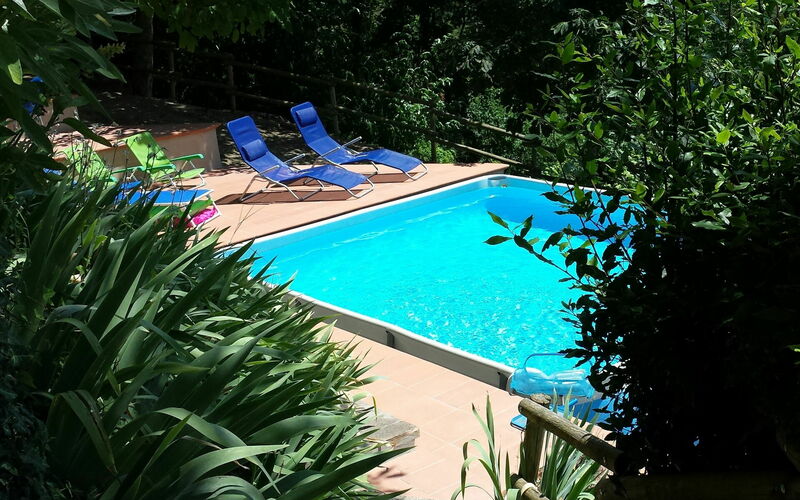 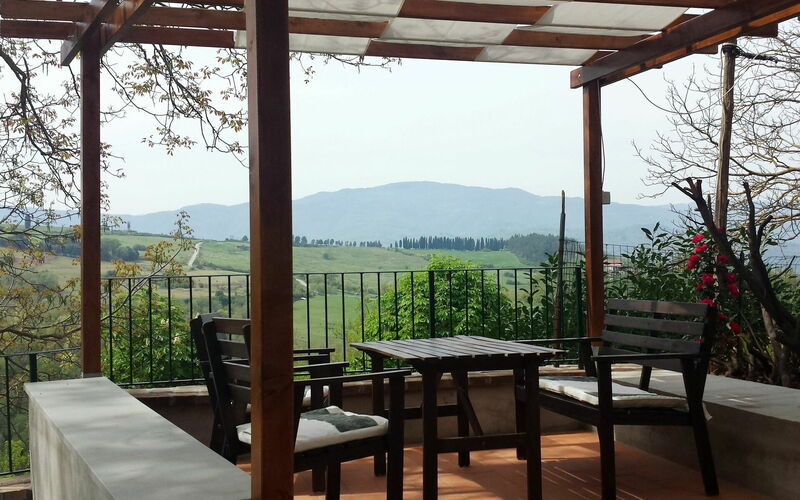 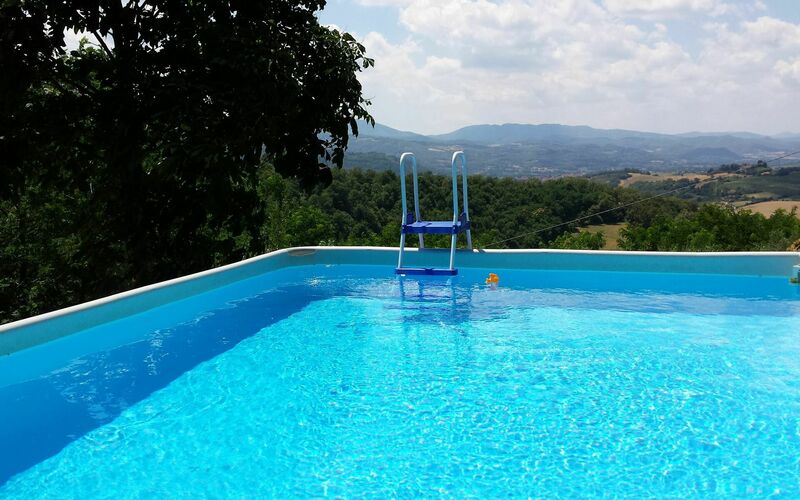 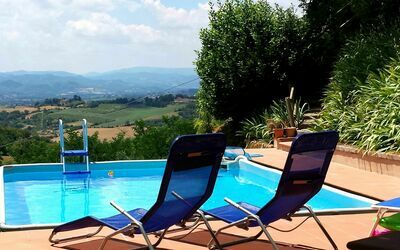 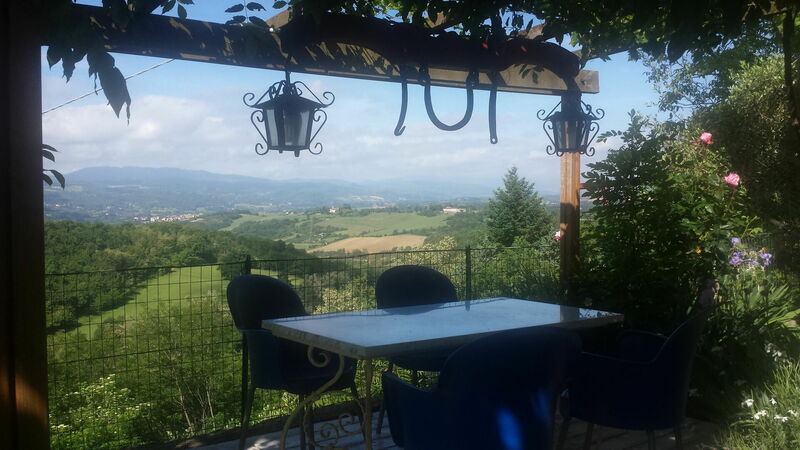 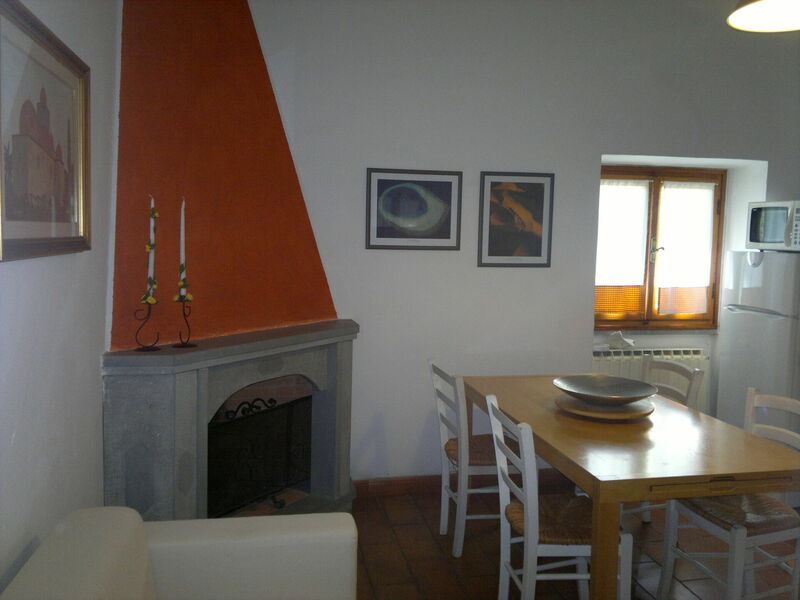 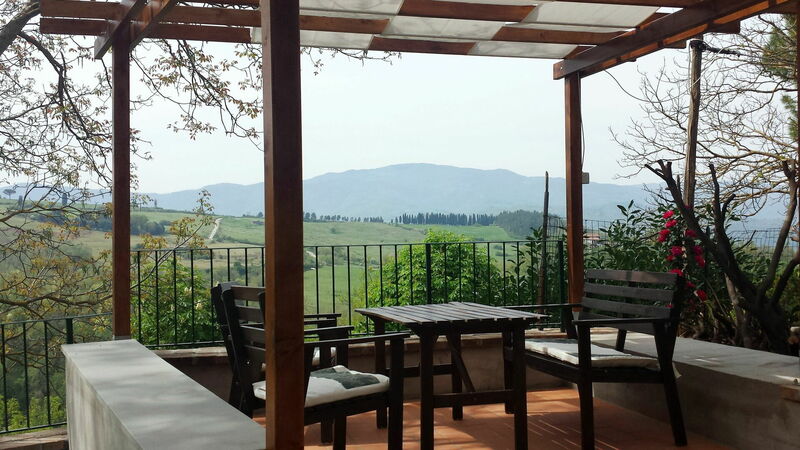 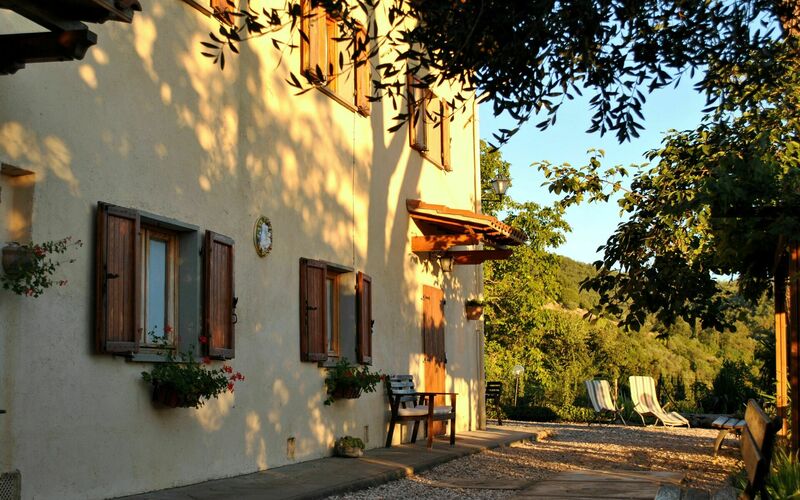 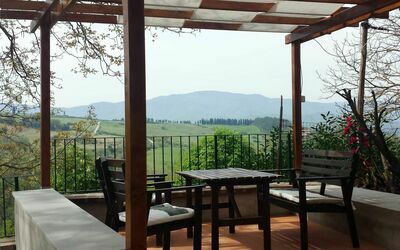 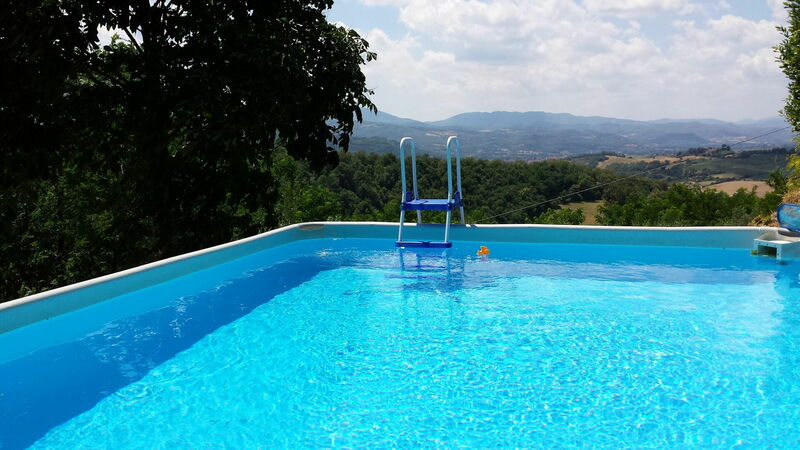 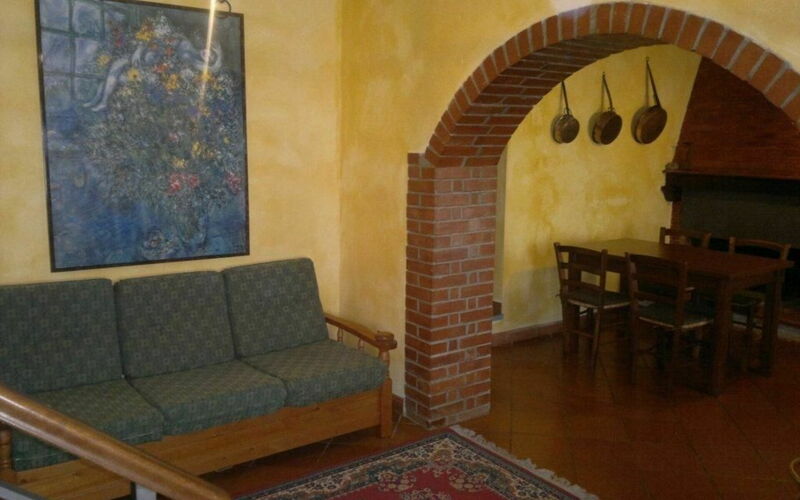 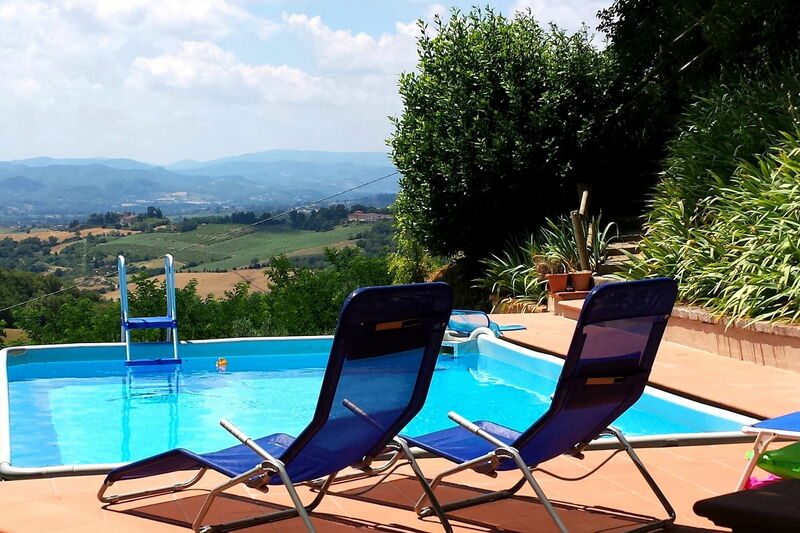 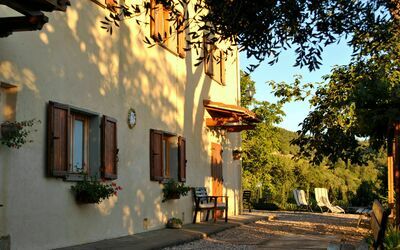 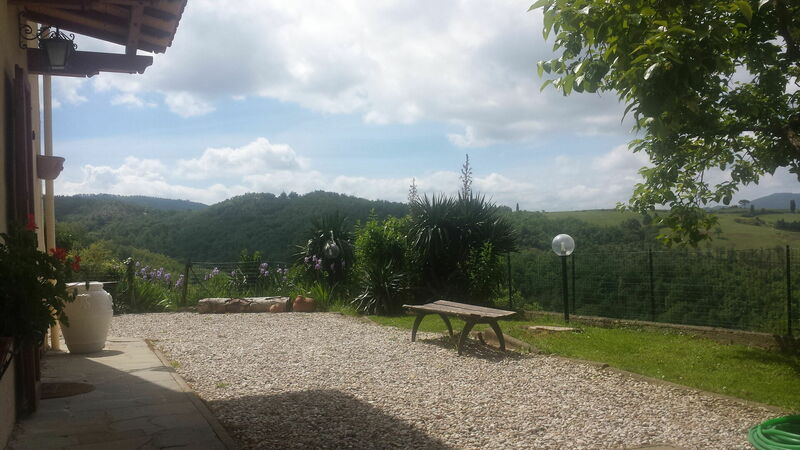 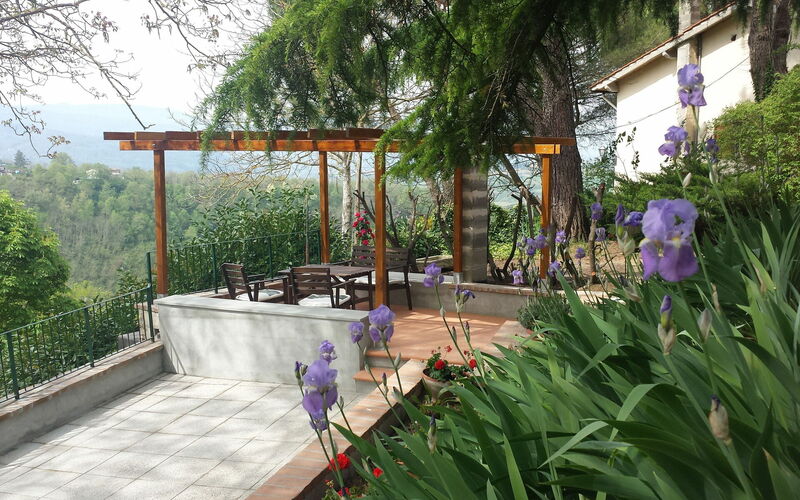 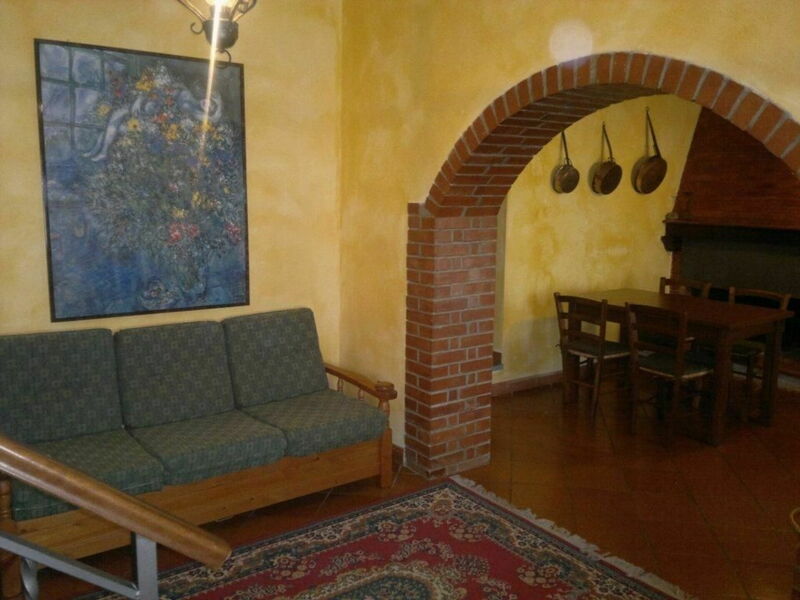 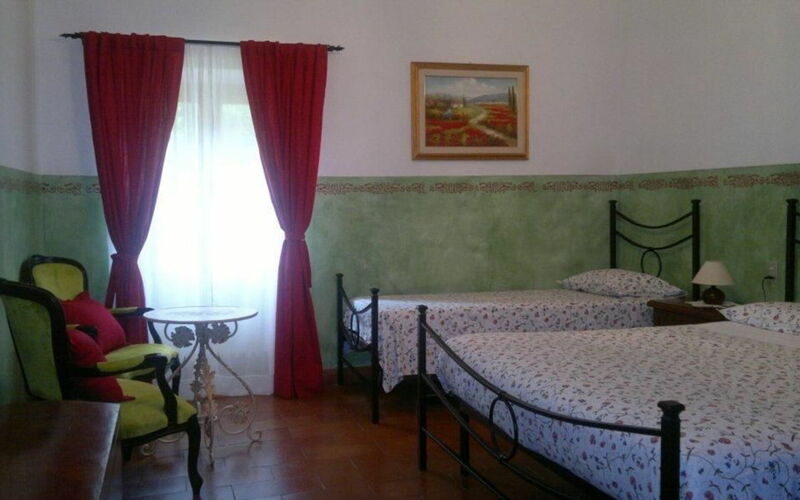 Farmhouse of the early '900 recently renovated respecting the Tuscan tradition, it is located in a panoramic position in the high and green hills of Mugello at about 400 meters above sea level. 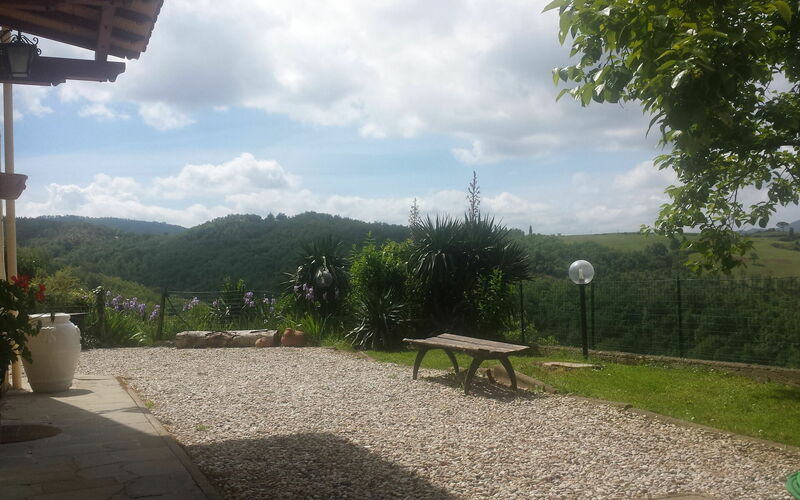 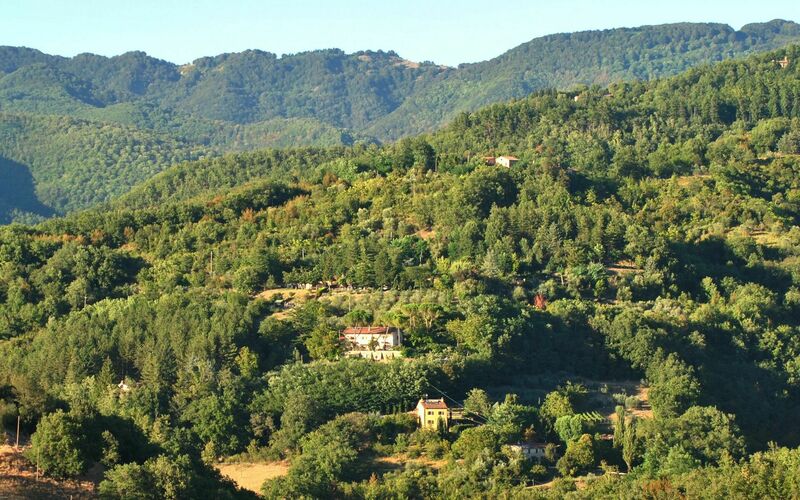 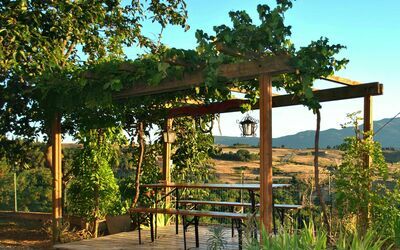 The property, which is accessed through 100 meters of white road, is surrounded by greenery and the silence of the Tuscan countryside and all aroud there are olive groves and forests of oak and chestnut trees. 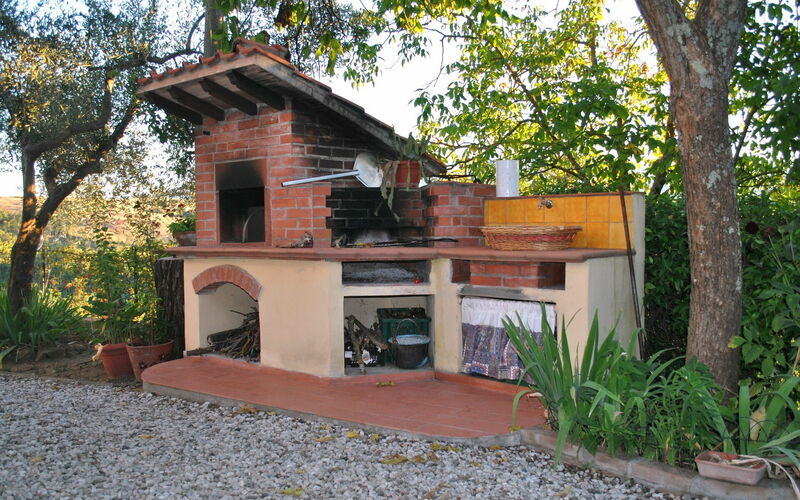 A part of the structure, with independent access, is occupied by the owners. 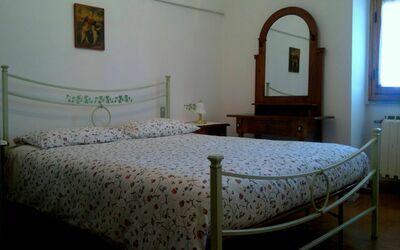 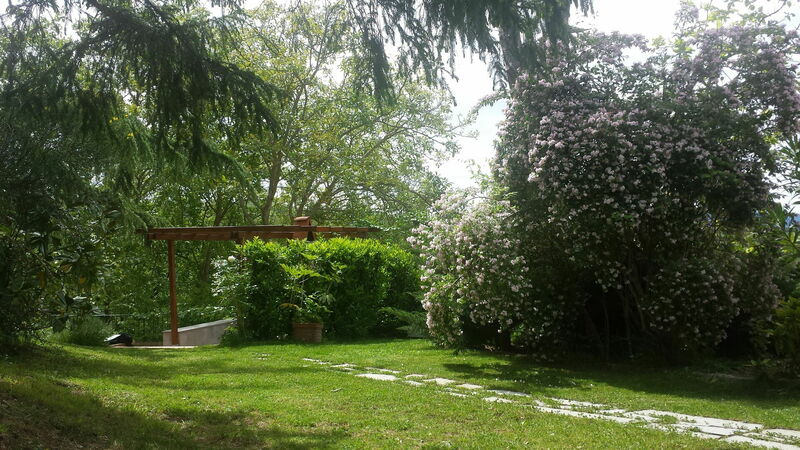 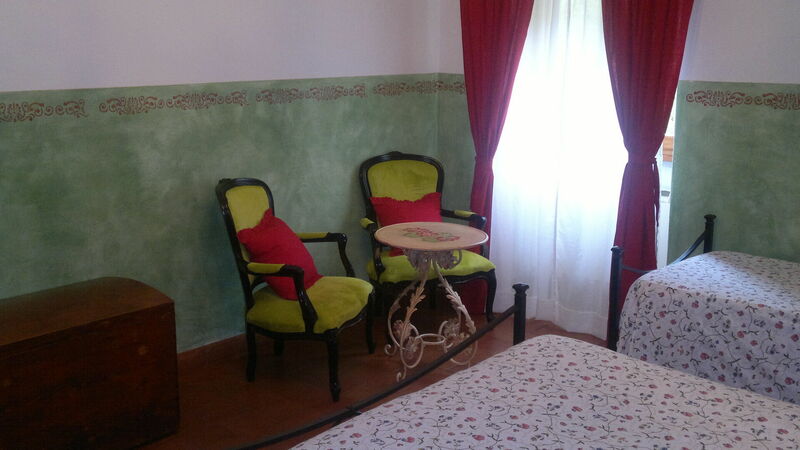 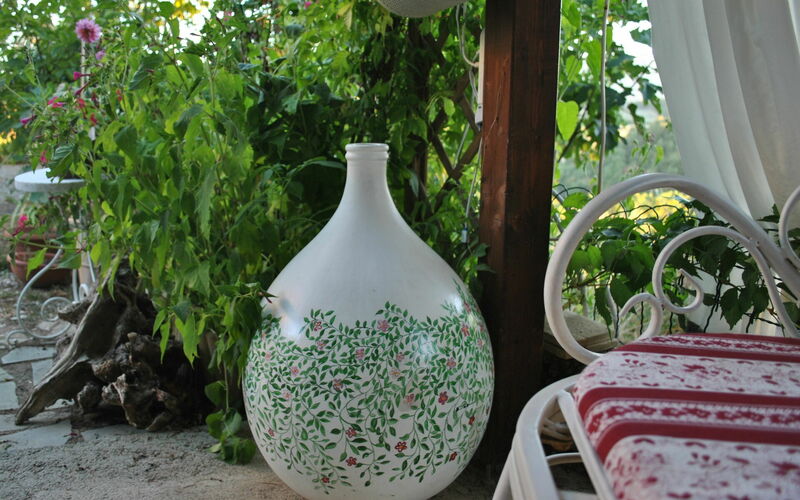 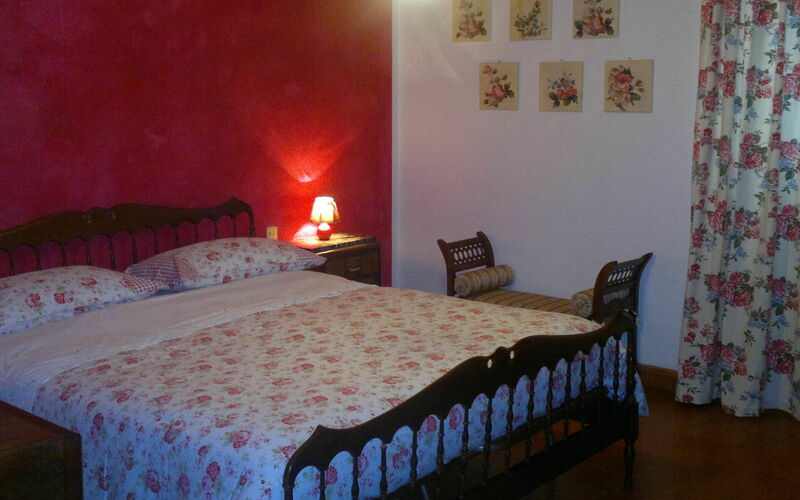 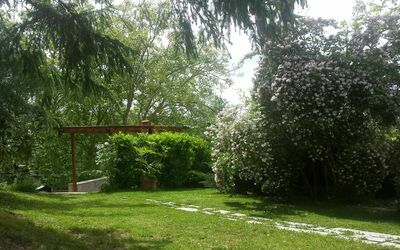 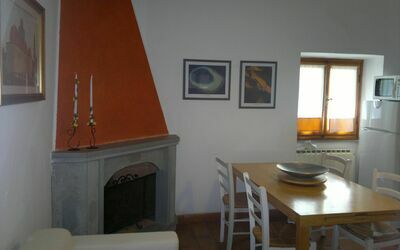 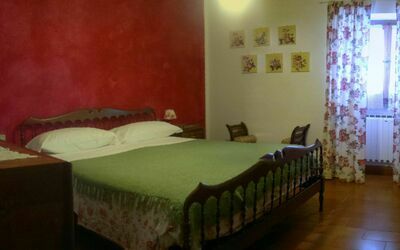 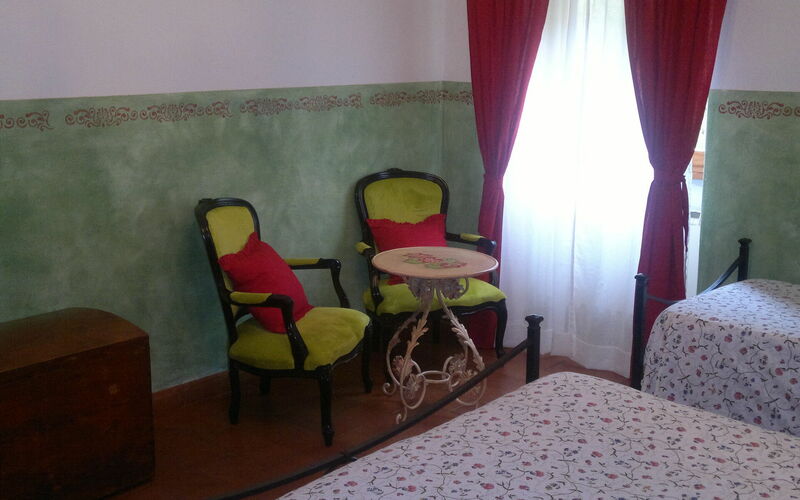 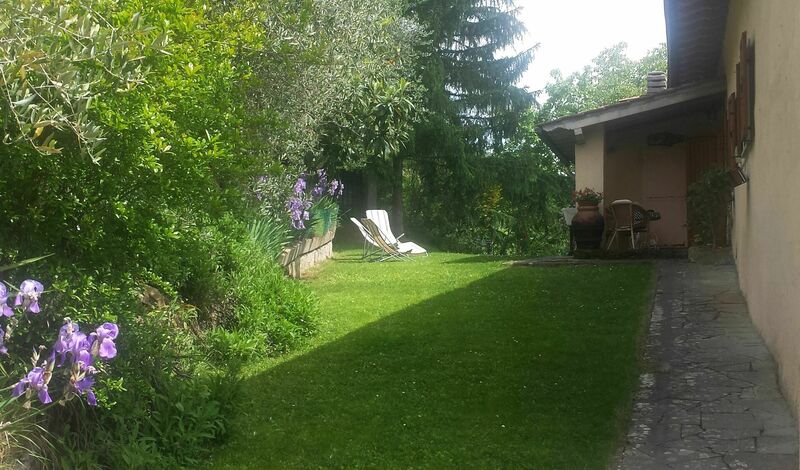 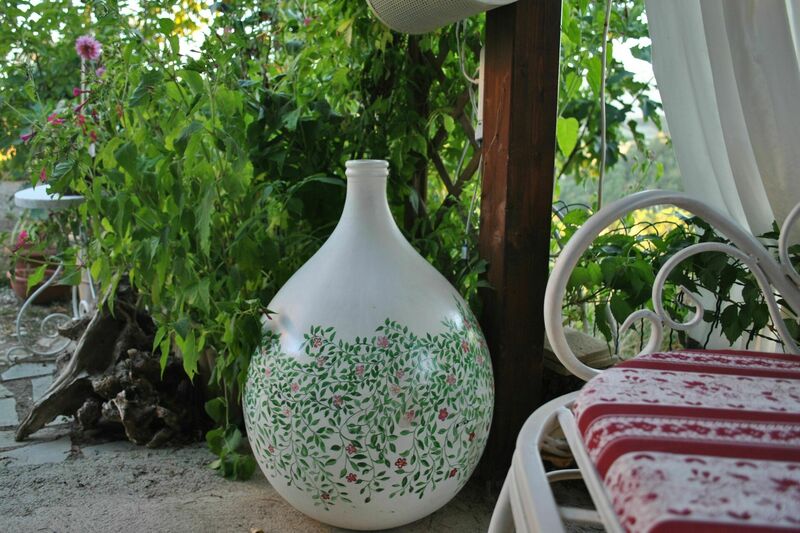 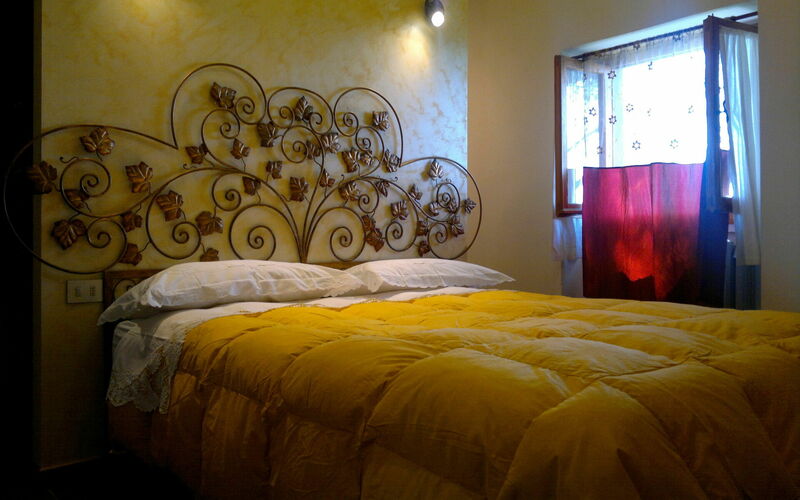 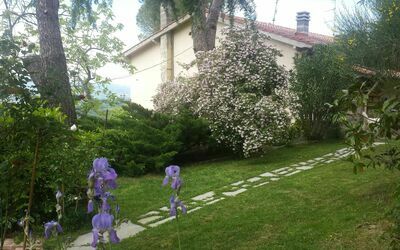 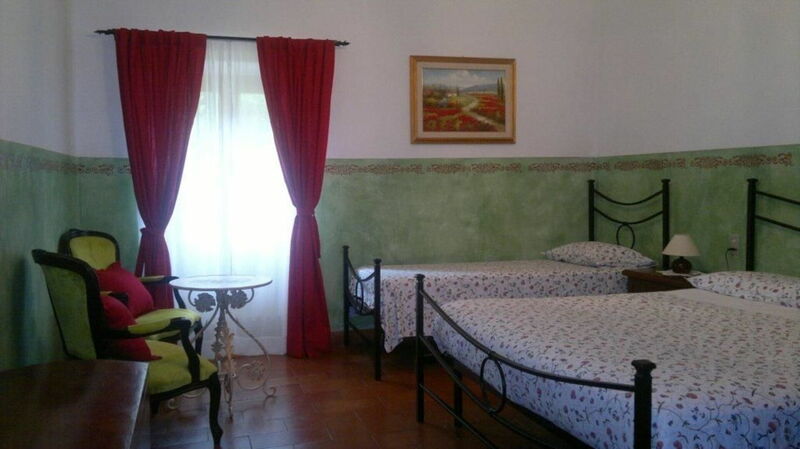 The house is on two floors and it has a simple but comfortable furniture; outside we find a beautiful garden of 300sqm. 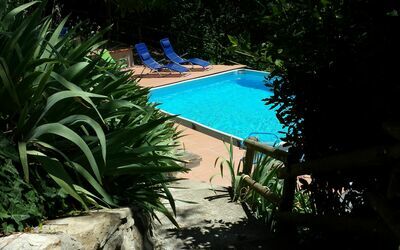 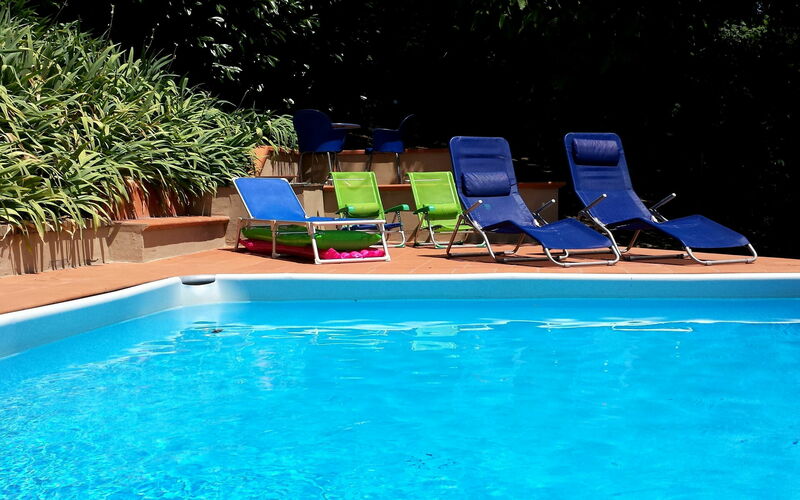 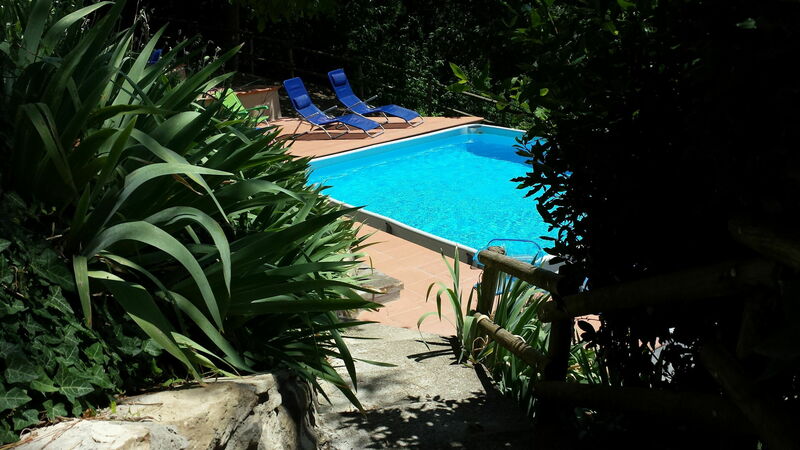 equipped with basement swimming pool for the exclusive use of guests (4m x 5m depth 130cm). 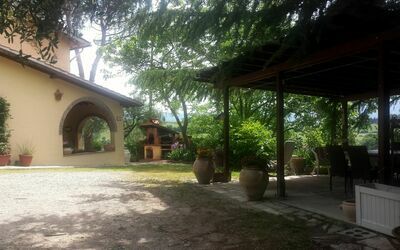 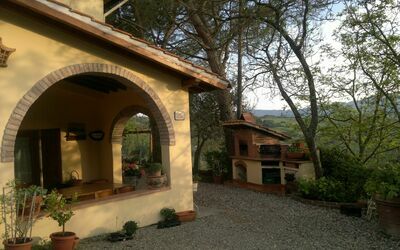 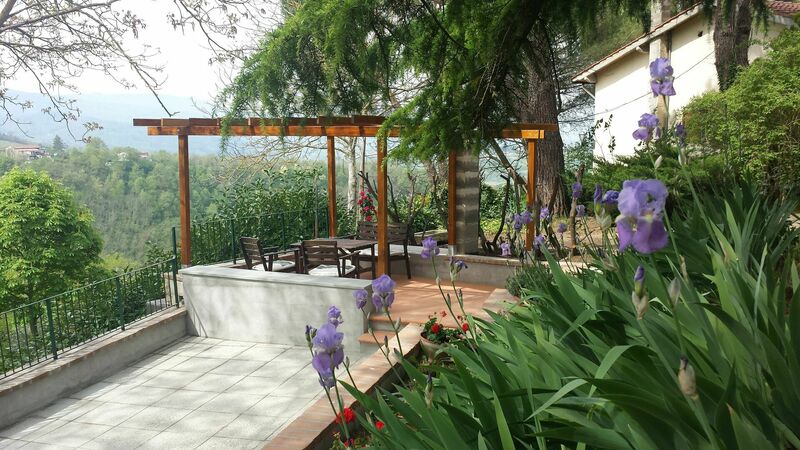 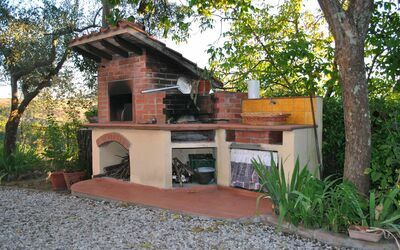 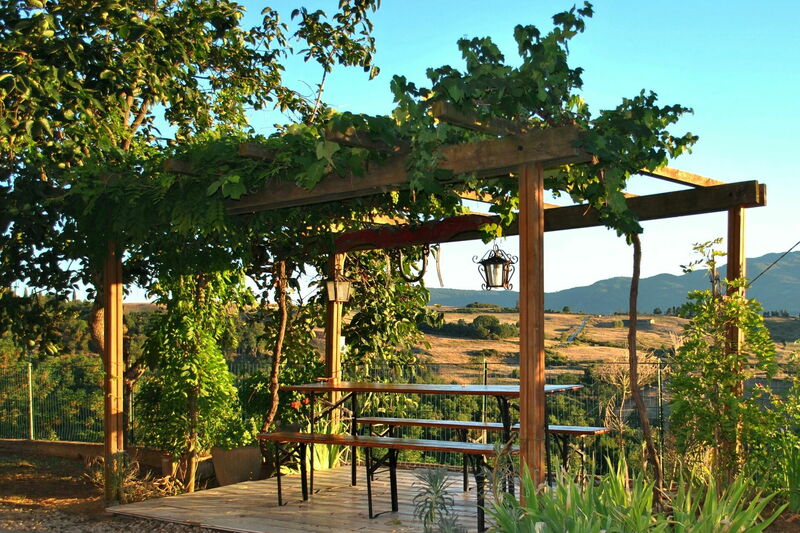 There is also a loggia used for outdoor lunches and dinners, barbecue and pizza oven. 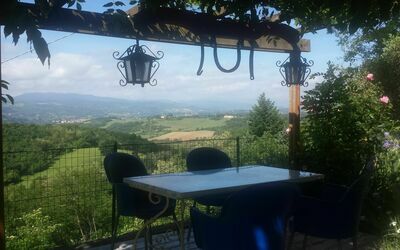 It is an ideal location for lovers of trekking and mountain-bikes, with itineraries through the woods and the peaks of the Tuscan Apennines. 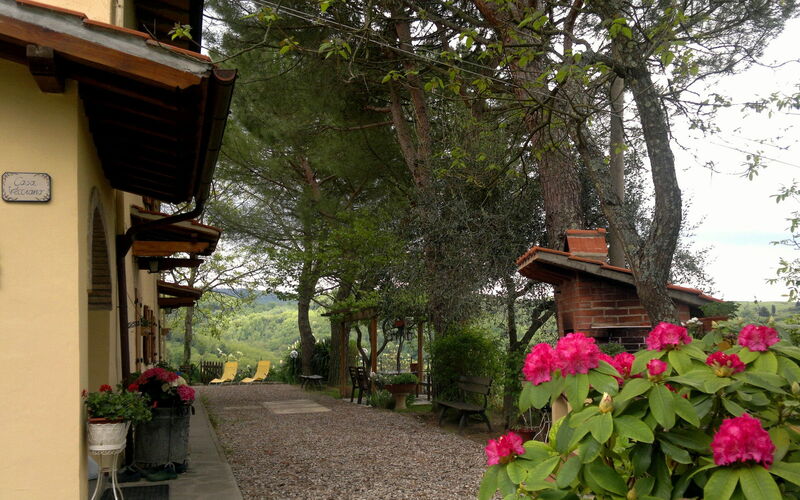 There is a private parking in the property. 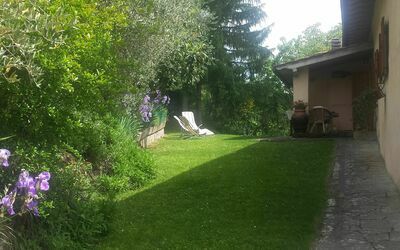 The house is located at 5km. 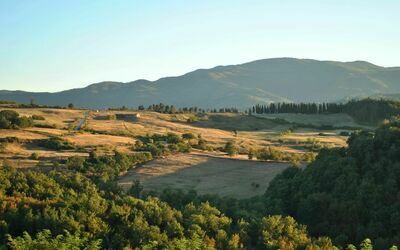 from "Vicchio" (birthplace of Giotto and Fra Angelico), at 45km. 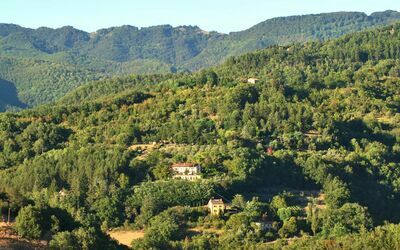 from Florence, at 28km. from the "Barberino Designer Outlet" (over 100 stores of major brands of Italian and international fashion) and from the lake of "Bilancino" (canoeing, sailing, windsurfing), at 23km. from the "Poggio dei Medici golf club", at 5km. from riding. 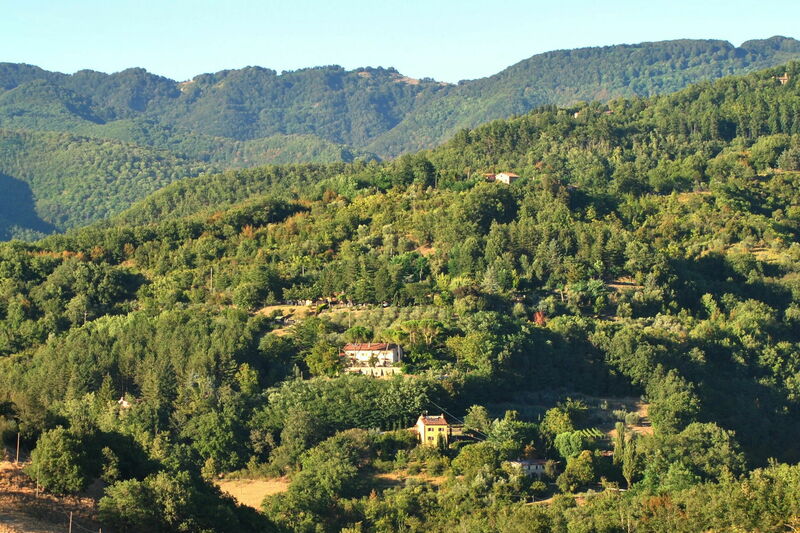 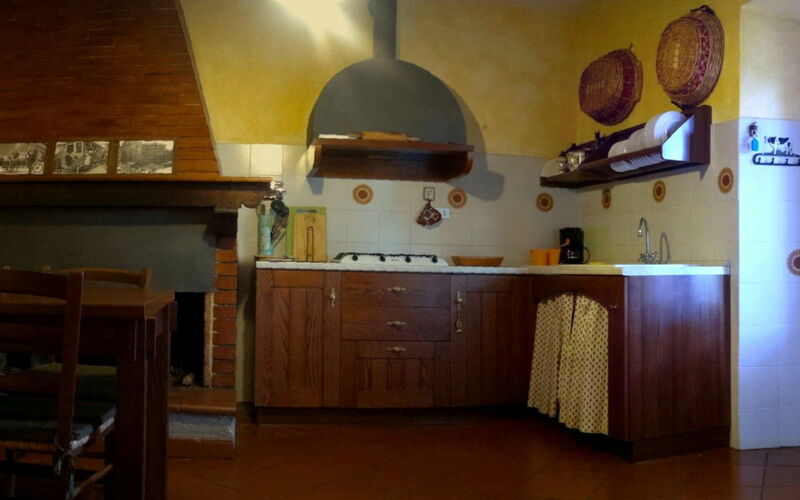 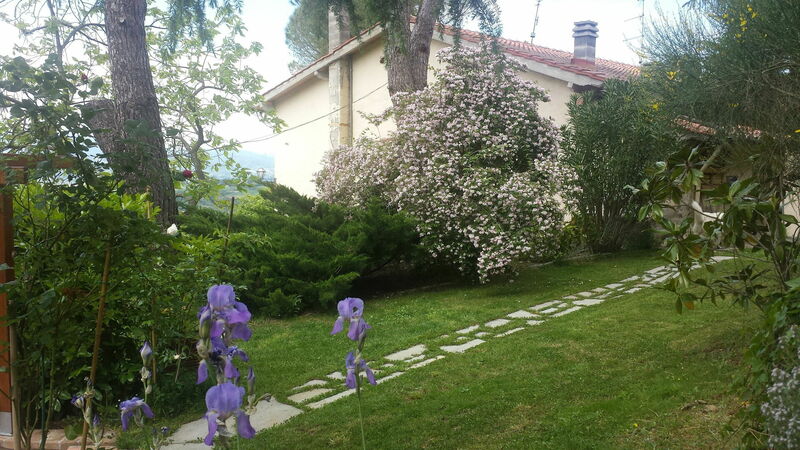 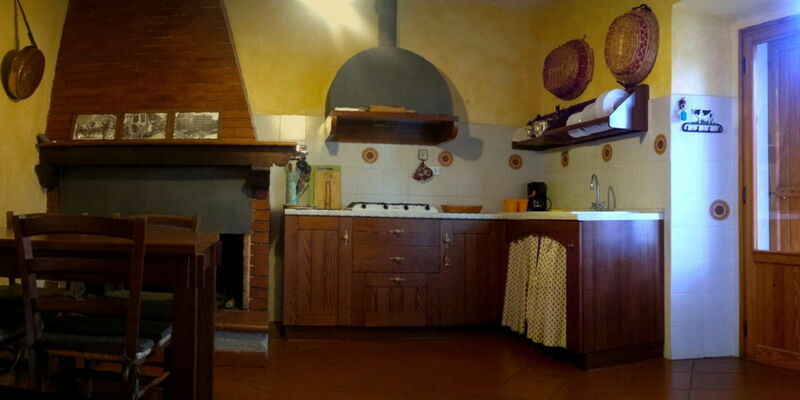 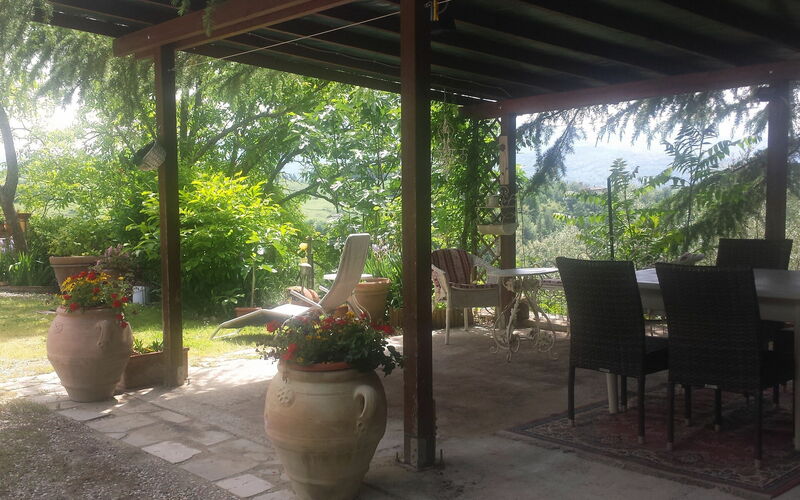 Farmhouse in a panoramic position of about 130sqm. On the ground floor: Independent entrance; kitchen equipped with four burners, fridge, microwave oven; Dining room with fireplace; Living room ; 1 bathroom with shower (toilet / bidet). 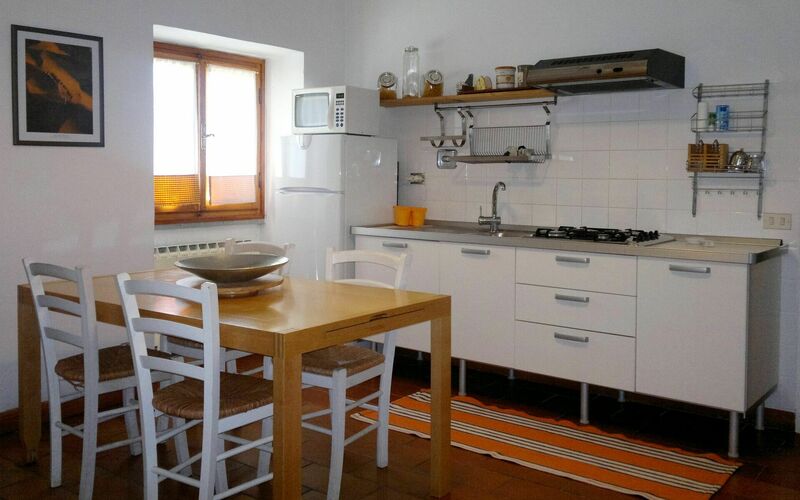 On the first floor: kitchen with four burners / Dining, fridge, microwave oven; 4 double rooms with double bed one of which with a third single bed. 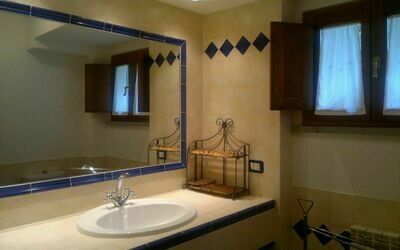 1 bathroom with shower (toilet / bidet).